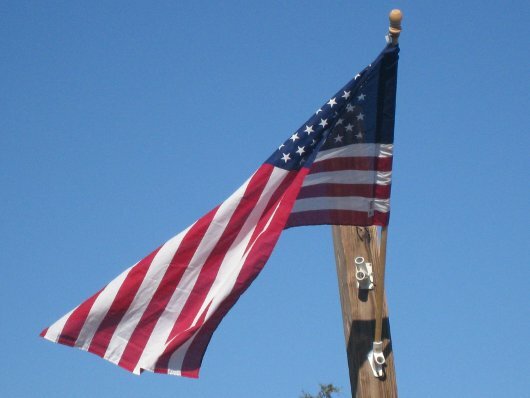 In 2005 Hurricane Katrina devastated our gulf coast community in Hancock County Mississippi. With five years of relief, recovery, and rebuilding, many still struggle to get back on their feet. 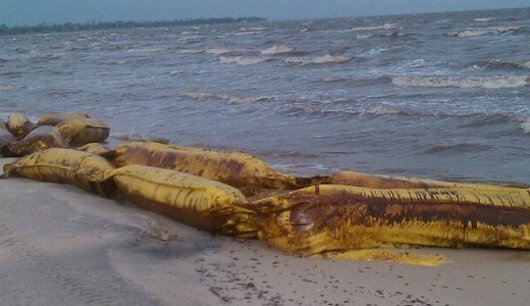 Now, the 2010 Deepwater Horizon oil spill has left even the most sure footed on slippery ground. Many fear that the long term economic effects of the oil spill could prove more damaging than Katrina for our area. 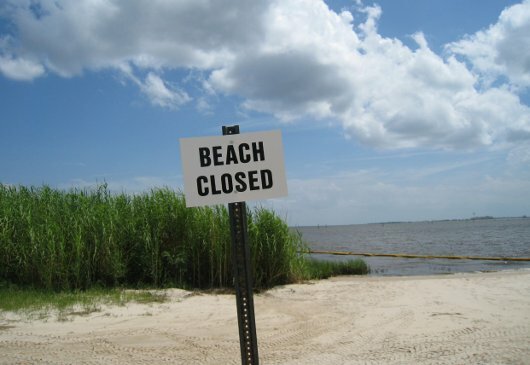 Here on the gulf coast our entire culture and economy is tied to the water. Commercial, charter, and leisure fisherman; ancillary businesses like, ice houses, bait shops, and fueling stations, boat repair, seafood restaurants, tourism, and on and on. The anxiety level runs high, and folks fear their way of life will never be the same. 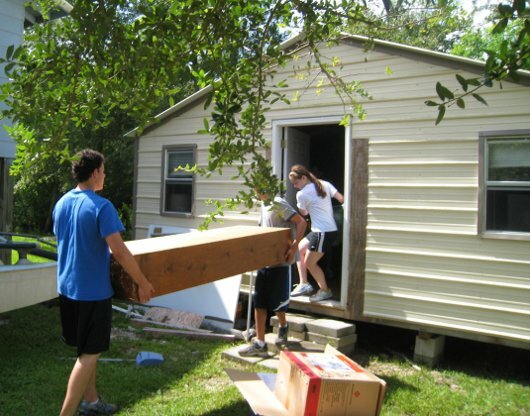 In the wake of hurricane Katrina, Lakeshore Baptist Church launched a massive mercy ministry. 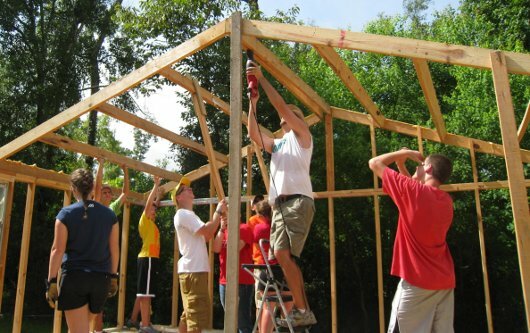 To date, we have hosted literally hundreds of volunteer mission teams involved with storm clean-up, rebuilding, and relief efforts of various sorts. Now, with the oil spill challenge, we have a strong desire to continue ministering to the physical, emotional, and spiritual needs of local residence. This commitment will require a sustained effort and prolonged partnerships. 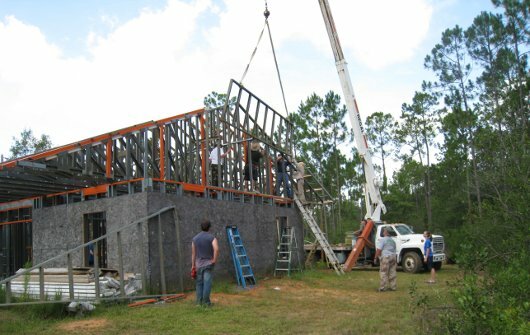 In an effort to minister to the long term needs of our community we have begun building a facility, affectionally known as “The Mercy House.” This permanent structure will replace the aging makeshift collection of storage sheds and quonset huts our ministry has been operating out of for the last 5 years as we continue providing food, clothing, household items, and encouragement to those in need. Currently we touch the lives of approximately 300 families a month through our food distribution and other benevolence ministries. The Mercy House will allow us to expand the ministry with regular educational opportunities, like our recent “How to Stretch Your Grocery Budget” seminar, encouragement events, and other resources aimed to aid families going through difficulty and uncertainty. Thank you so much for being a part of the work God continues to accomplish on the gulf coast to the praise of his name. Last week a great team from the state of Washington went from property to property in our area removing storm debris, cleaning construction scraps, moving building materials and a long list of other things. One majored project involved emptying and dismantling a shed. Right after the storm, a local family built a small shed on their property to live in until they received a FEMA camper, and then later a MEMA cottage. Long story short, five years later the family faced a steep fine from the city for the un permitted structure. Not only did the Washington team of volunteers empty the shed in short order, but also dismantled it and labeled the pieces for later assembly. Their hard work not only saved the family a considerable amount of money, but also provided them with strong encouragement in the name of Christ. The grateful family thanked the team with a large batch of okra from their garden. God bless Mississippi. 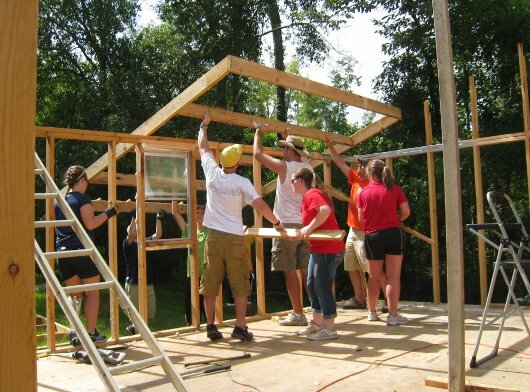 This past week teams from Mississippi and Kentucky joined forces to put a roof on a new construction home for a local resident. The homeowner lost her house in the storm and then her husband died in the midst of reconstruction, leaving the project on standby for the last few years. In God’s good providence we have been able to come along side her and move the house forward toward completion. 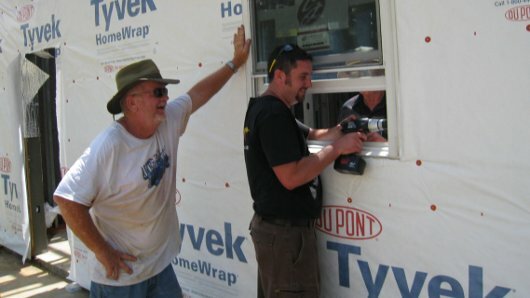 Lord willing, we will have the siding on by the end of the week with a team here from South Carolina. As the knowledge of God becomes more wonderful, greater service to our fellow men will become for us imperative. This blessed knowledge is not given to be enjoyed selfishly. The more perfectly we know God the more we will feel the desire to translate the new-found knowledge into deeds of mercy toward suffering humanity. The God who gave all to us will continue to give all through us as we come to know Him better. Last week a team from the Mid-Maryland Baptist Association worked with us on several projects including hanging and finishing the drywall in a local home. Four short weeks ago I put together a four page list of tasks around the church property we aimed to complete before the end of the month. With the help of 10 partner groups, from 9 states, we accomplished almost everything on the list. I praise God for these folks who made mission trips to Lakeshore during the month of June. Now as we look forward to the month of July we want to push through summer with determination. 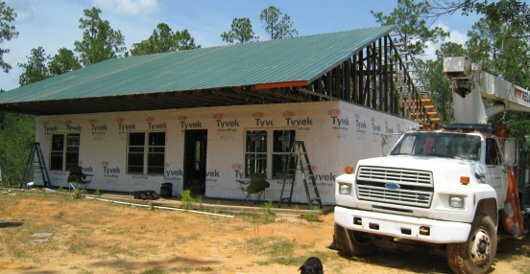 Our biggest goal for the church property this month focuses on the Mercy House, We need someone with brick laying experience to set and mortar the pavers under the front porch, finish carpenters to complete the stairwell, sheet rockers for the upper level, and painters for the exterior of the building. We also plan to erect the 30’X40′ metal quonset hut storage building behind the Mercy House. When this gets done, we should be able to start landscaping before the end of the summer. 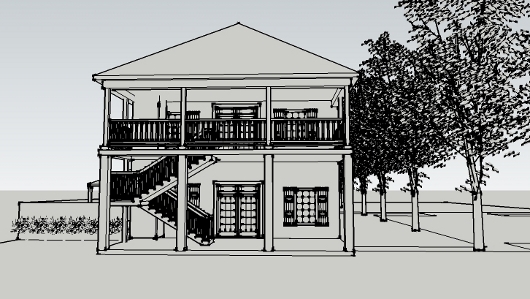 I would love to open the Mercy House by August 29, 2010, the 5 year anniversary of Katrina – but its all in God’s good timing. In addition to the progress on the Mercy House, we will continue working on several homes in the community, host a vacation Bible school, continue ministering through our distribution center, and planning for the construction of the new Fellowship Hall. Pray for us as we seek God’s greatest glory on the gulf coast.